On 4 May 2018, the Singapore International Commercial Court ("SICC") delivered its judgment in Macquarie Bank Ltd v Graceland Industry Pte Ltd  SGHC(I) 05. The case was heard by Justice Sir Henry Bernard Eder, a former judge of the English High Court. This case is important because the SICC discussed the execution of an OTC derivative transaction, an Additional Termination Event where no ISDA Master Agreement was entered into within a certain period, and the manner of calculation of the Close-out Amount under the ISDA Master Agreement. Macquarie Bank Ltd ("Macquarie") and Graceland Industry Pte Ltd ("Graceland") were parties to a fertiliser derivative. In the course of March and April 2014, the parties negotiated the terms of a 30,000 mt June Yuzhny urea swap, including a draft long-form confirmation ("LFC"). The LFC contained an Additional Termination Event ("ATE") which stated that if an ISDA Master Agreement is not executed between Macquarie and Graceland within 30 days of the Trade Date, Macquarie would be entitled to terminate the swap in accordance with the terms of the contract. On 22 May 2014, Graceland instructed Macquarie to "proceed to place the swaps in the market" with a price limit of US$275. The order was not filled until 4 June 2014. Accordingly, on 4 June 2014, Macquarie informed Graceland of the completion of the order and that the LFC would be sent to Graceland the next day for execution. On 5 June 2014, Macquarie sent a further email suggesting that the index for the purposes of determining the settlement price could be changed and requested Graceland to consider which index it preferred. Graceland chose to change the index and on or around 6 June 2014, Macquarie sent a revised LFC. On 13 June 2014, Graceland requested the cancellation of the swap and refused to sign the LFC. (c) 8 July 2014 was designated by Macquarie as the Early Termination Date. On 11 July 2014, Macquarie sent a letter to Graceland specifying that the Early Termination Amount (the "ETA") payable by Graceland to Macquarie was US$1.2 million. Macquarie calculated the ETA based on an actual replacement transaction for 20,000 mts at US$310 and a quote for 10,000 mts at US$320. 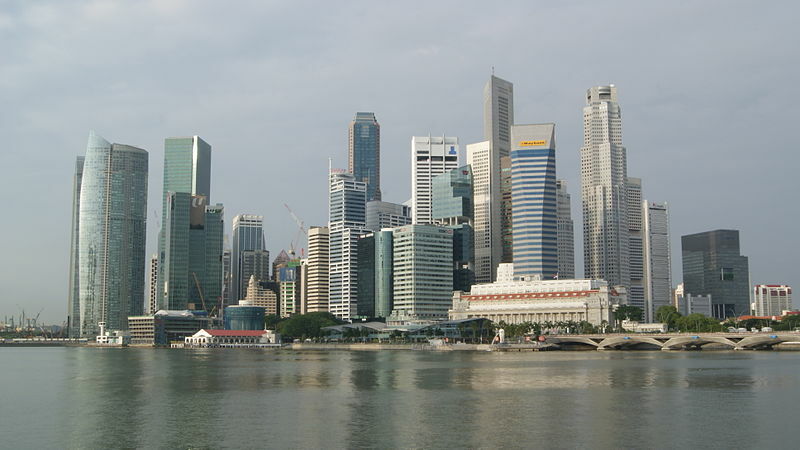 Macquarie commenced proceedings in the Singapore High Court, claiming for the ETA, and the case was transferred to the SICC as the claims were of an international and commercial nature and it was common ground that the issues were to be determined as a matter of English law. The case touched upon many issues and we discuss some of the key ones below. Was there a binding agreement between the parties? This was an important question because the LFC was never signed by Graceland. However, it had been decided, in a previous hearing before the case was transferred to the SICC, that there was a binding contract. Graceland accepted this, but disputed the terms of that agreement. The SICC was also clear that an agreement could be found in the final emails which "crossed the line" and that the parties had agreed that the transaction would be on the terms of the draft LFC. The SICC found that the LFC therefore evidenced the agreement between Macquarie and Graceland, setting out the full details of the transaction executed on the basis of the email exchange between the parties. What were the terms of the agreement between the parties? (b) the transaction would be an exchange-traded transaction. On the facts, the SICC found that both parties contracted as principal. The preamble of the LFC had stated each party would be acting as principal. It was difficult to see how the transaction could be an exchange-traded transaction based on the documentation sent to Graceland. Separately, Macquarie also sought to rely on Section 3(g) of the ISDA Master Agreement, i.e. the "No agency" representation. However, the SICC noted that for Section 3(g) to apply, it has to be specified as applicable (in the Schedule). This is a salutary reminder to market participants that in an LFC, certain representations and provisions are required to be expressly "switched on" if parties wish to rely on them. This is particularly important when it is clear from the outset that no ISDA Master Agreement will be agreed. The SICC concluded that there was no fiduciary relationship between Macquarie and Graceland. First, the LFC made it clear that each party was acting as principal and Macquarie also made it plain that Macquarie and Graceland would be acting as "counterparties". Second, Macquarie specifically told Graceland that it should seek its own legal advice in relation to the documents. Macquarie also disclosed the fact that it would be making a profit on any back-to-back hedging. Finally, the SICC held there was no need to rely on the standard non-reliance representations in the LFC. Even if Graceland was right that these representations were not determinative, the findings of fact did not justify a different conclusion. Importantly (albeit obiter), the SICC also noted that the United Kingdom Unfair Contracts Terms Act would be irrelevant because neither Graceland nor Macquarie contracted with the other as a "consumer" and the parties did not contract on one of their "written standard terms of business". The SICC held that Macquarie was entitled to trigger the ATE for failure to agree an ISDA Master Agreement within the requisite timeframe. This case also raised an interesting point as to whether including another ATE for failing to countersign the Confirmation is necessary or desirable. Although the SICC did not expressly discuss the point, it implicitly assumed that the ATE was agreed by Graceland even though at all times, the LFC (which contained the ATE provision) was not signed. As a practical matter, a bank should set out all the relevant provisions in writing before executing a transaction and incorporate these by reference in the actual agreement. The documentary trail will then form part of the evidence as regards the content of the terms agreed between the parties. the Close-out Amount should be determined as of the Early Termination Date or if that would not be commercially reasonable, as of the date or dates following the Early Termination Date as would be commercially reasonable. (b) Macquarie transacted 20,000 mts at US$310 on 8 July 2014 and should have waited until 9 July 2014 to obtain a further quote for the remaining 10,000 mts because the market was edging lower and the market on 8 July 2014 was already "saturated". The SICC held that the question was not whether it was commercially reasonable for Macquarie to wait 24 hours, but whether it was not commercially reasonable for Macquarie to determine the Close-out Amount on 8 May 2014. The important difference is the burden of proof. The party challenging the Close-out Amount must demonstrate why a particular course of action was not commercially reasonable. The fact that it was also commercially reasonable to take another course of action does not mean that Macquarie was not commercially reasonable. Therefore, a Determining Party's decision may be reasonable (and enforceable), even if the court, carrying out the exercise itself, might have come to a different conclusion. In summary, there was no requirement that Macquarie ought to have waited until the next day to determine the Close-out Amount and take on "the risk of further adverse price movements and even greater loss". Can one claim brokerage and other costs? Graceland objected to the inclusion of brokerage costs in relation to the 10,000 mts but the SICC disagreed. The SICC held that it was obvious no brokerage cost was actually incurred in relation to the 10,000 mts because there was no actual transaction but the definition of "Close-out Amount" refers to losses or costs which a party "would incur" in entering into replacement transactions. In such cases, customary brokerage costs could be included and it was permissible to base these on the equivalent costs for the 20,000 mts being US$0.50 per mt. Graceland also objected to the inclusion of "operations costs" in the calculation of the Close-out Amount. It was not clear what these costs related to although they appear to be Macquarie's internal costs in respect of entering into replacement transactions. Again, the SICC held that under the terms of the ISDA Master Agreement, there was no need to prove actual loss or costs. It was sufficient that Macquarie's internal correspondence records demonstrated that such operations costs would be US$1 per mts and that such costs were commercially reasonable. This SICC decision is likely to be welcomed by market participants because it adopted a commercial approach in dealing with the issues. The findings reflect the expectations of the market with regards to how an LFC works and, in particular, the ability to trigger the ATE for failing to execute an ISDA Master Agreement within a certain timeframe. The robust conclusions reached by the SICC are also useful in confirming that it is not fatal should a counterparty refuse to sign a Confirmation after an agreement to execute a trade has been reached. They also provide banks with some assurance that an agency or fiduciary relationship would not be easily found in the context of OTC derivative transactions. Finally, the SICC's analysis in relation to the determination of the Close-out Amount appreciates the commercial realities faced by a Determining Party when closing out a Transaction. It recognises that it may not always be possible to enter into a Replacement Transaction in respect of the entirety of the Terminated Transaction, and that certain costs, whether actually incurred or would be incurred, can be taken into account. This is consistent with other recent English law decisions on standard form and similar issues under financial markets documentation.